The vacation getaway comes with seven bedrooms, nine bathrooms and spectacular views! The beach house that Frank Sinatra and his fourth wife, Barbara, built as their dream retreat just hit the market, and it’s making us crave summer. Located in Malibu, California, the seven-bedroom, nine-bathroom home boasts 5,824 square feet of sun-drenched space with gorgeous views of the Pacific Ocean. The living room has an indoor/outdoor feel, thanks to the large floor-to-ceiling sliding glass doors that open up onto the patio and backyard. There’s also a cozy fireplace that looks like it’d be perfect to cuddle up to on those cool summer evenings. An indoor bar opens up to the outside, great for hosting parties. We’re sure the couple had plenty of A-list friends over for cocktails through the years. A wood-beamed family room with a wall of built-in bookcases also provides space for entertainment. 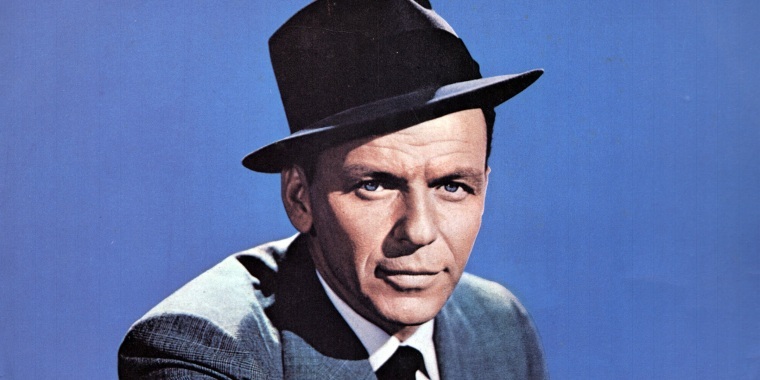 All you have to do is pop a record of Ol’ Blue Eyes on for maximum effect. In the large gourmet dine-in kitchen, you’ll find stainless steel appliances, granite countertops and a center island. But perhaps the grandest space of all in the house is the sun-drenched master suite, which has an insane view of the ocean you can check out from your own private terrace. If you want to be inside, you can enjoy the scene from your bed or the sitting area. The suite also has a fireplace, dual bathrooms, a steam room and even its own hair salon! Wish this was your own beach house? (Same!) You can buy it ... for $12.9 million. See more pictures of the property at the listing at Hilton & Hyland.